I have to be honest, nibbles and canapes weren’t really much of a feature on my list of Christmas things-to-do this year. This is because I don’t really have time to faff about with fiddly ingredients what with two tiny boys sapping pretty much all of my attention these days. So when I was asked to recreate a festive “one bite wonder” for Lurpak as selected by their Facebook fans this scallop recipe caught my eye. 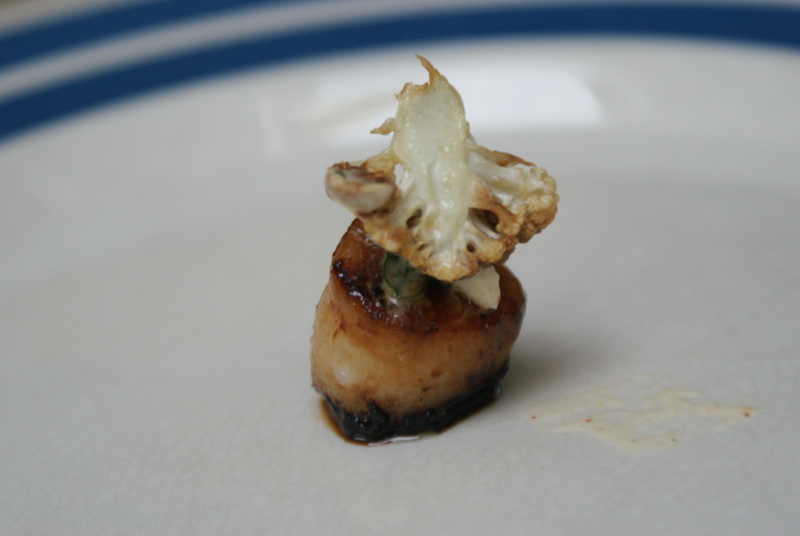 Namely because as well as being utterly delicious, once you’ve mixed up the celeriac remoulade in advance, there’s very little cooking involved other than a bit of scallop searing. Just the thing for the time impoverished. I’ve become a big fan of shortcut ingredients, and Lurpak liquid is an excellent one. Instead of having to add oil to your butter when frying, a quick glug of this stuff gives you that golden buttery taste without any burnt butter anxiety. 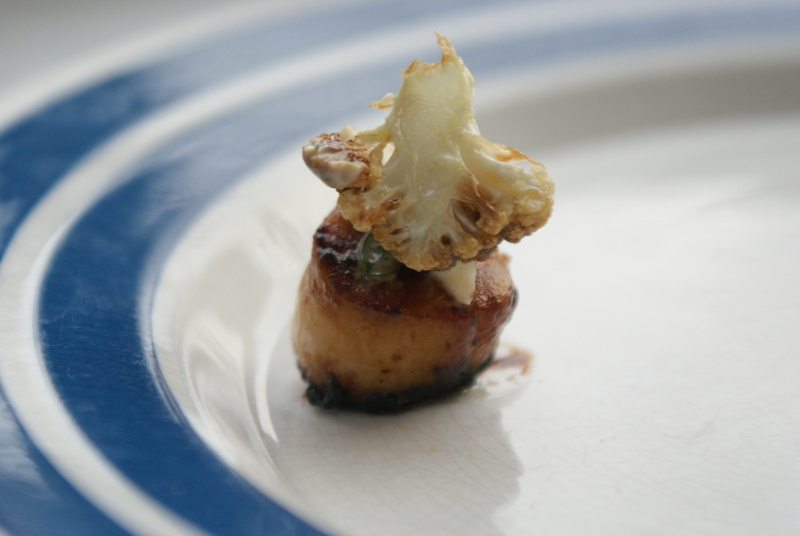 As I was serving pescetarians I crowned my scallops with a cauliflower crisp. Sliced in advance this meant I only had to sear the scallops when it came to serving, but you could just as easily replace this with a slice of crisp pancetta – just fry it off before cooking the scallops and add your Lurpak liquid to the hot pancetta fat before browning the scallops. thinly sliced cauliflower florets or thinly sliced pancetta, fried until crisp. make the celeriac by combining all the remoulade ingredients in a bowl. Chill until needed (this can be done the evening before while you’re waiting for your scallops to defrost overnight). When you’re ready to serve, heat a heavy based frying pan until it’s searingly hot. (If your’re using pancetta, fry slices until crisp and drain on kitchen paper). Add Lurpak Liquid to the pan.If using cauliflower, carefully fry the slices until golden on each side and set aside to drain on kitchen paper. Season the scallops on both sides then add to the pan. Cook for 2 mins on one side and one minute on the other. Sounds wonderful. Love cauliflower and I’m always looking for ways to prepare it. Thanks!